Now this is the kind of communication any artist/designer would love to receive from a client on commissioning their work. 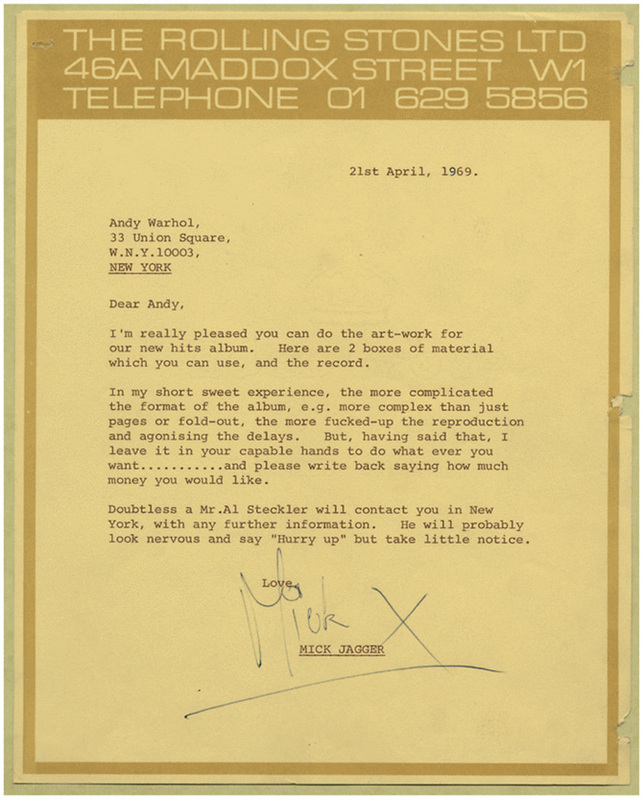 In 1969, the Rolling Stones approached Andy Warhol to ask him to design the sleeve for their ninth studio album, Sticky Fingers. Note the fairly relaxed brief, and even more relaxed budget! Warhol went on to produce an unforgettable cover featuring a shot of actor Joe Dallesandro’s jean-clad crotch, complete with a zip that scratched many customers’ records.